projectors, for audience of up to 50 people, 150 people and 300 people. Up lighting, lights around a room that shine up the walls and toward the ceilings, elegantly enhancing the ambiance of any room. They range from a wide variety of beautiful colors (pink, blue, lavender etc.) and can turn a boring room into a colorful environment. 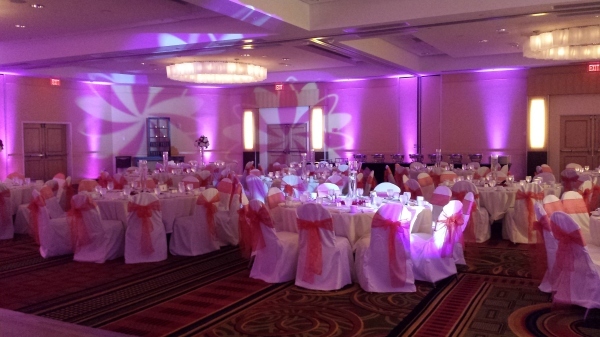 Lighting plays a major role in an event. 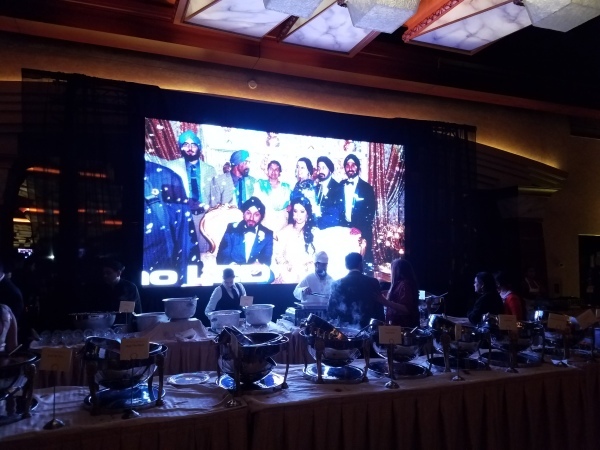 It can spark the ambiance of your celebration and give your guests absolute freedom at the dance floor, where they would feel comfortable and motivated to dance, instead of self-conscious. Lighting is one of those details that binds everything together and very often overlooked. Ceremony music is a very important part of your big day. Do not trust your I-pod to be able to handle the tempo and flow of the processional, bride entrance, interlude and recessional. I-pods freeze, awkward pauses in between songs etc. 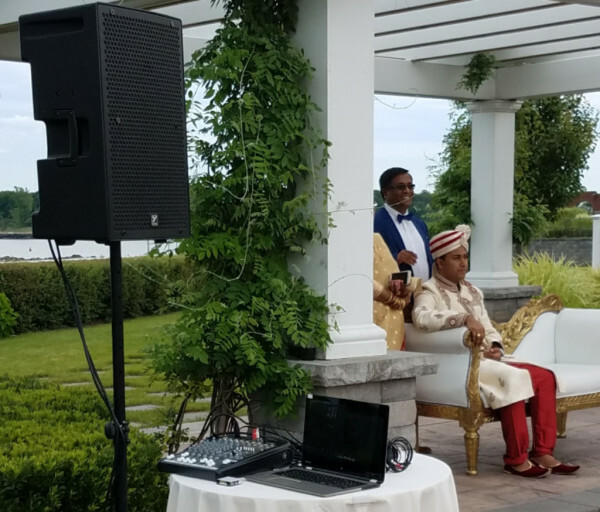 We will help coordinate your ceremony using state of the art sound and even wireless microphones for your officiate. Pick your own custom music or use a traditional bridal chorus. Photobooth is a fun way to interact your Guest to take some great pictures. our Props and Professional Photobooth Dslr Camera will capture and print on spot all your Instant photos. 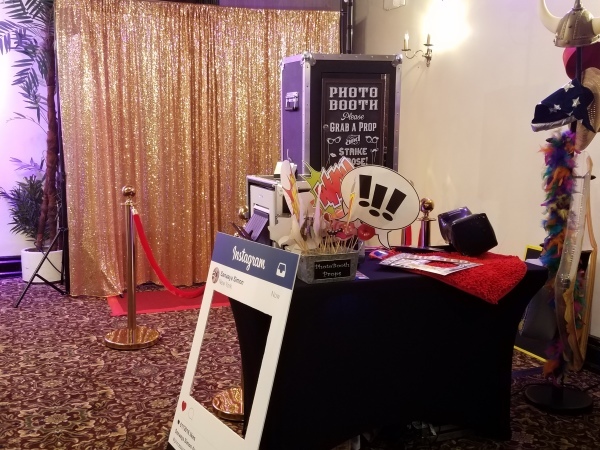 This state of the art Photobooth can upload all the guest Pictures on any social Media instantly. Dhol Players can add Life to the party. Our Dhol Players are experience and can play Verious beats all night long. 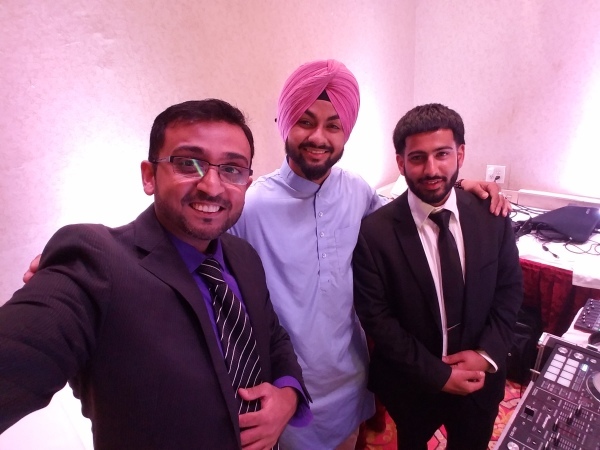 From Baraat to Special Intro, to Dancefloor, our Dhol players will rock your party.